Hicks HVAC specializes in heat pump repair and heating unit replacement. We can diagnose your heat pump problem quickly or perform an entire heating unit replacement. We’ll take all the hassle and frustration out of your heating system problems. Hicks HVAC specializes in heat pump repair and heating unit replacement. We can diagnose your heat pump problem quickly or perform an entire heating unit replacement. We’ll take all the hassle and frustration out of your heating system problems. We cover the greater Nashville area and pride ourselves in our affordable precise heating system services. Our N.A.T.E. certified heat pump repair technicians will get the job done efficiently and we back up all our work with our 100% satisfaction guarantee. 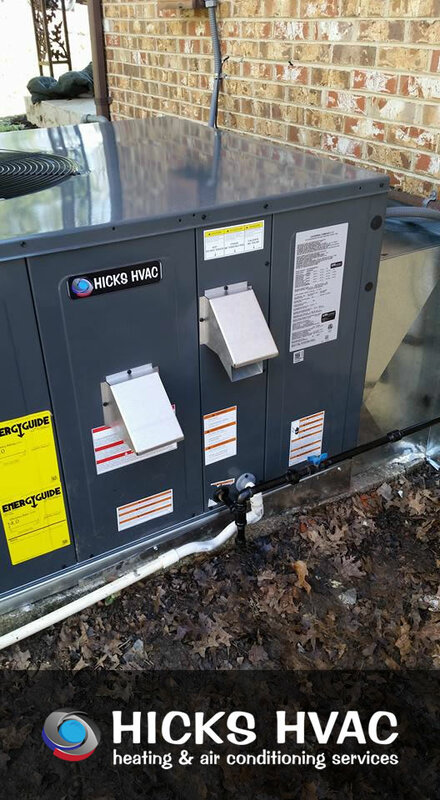 If you are building your new home and looking for a HVAC partner, Hicks HVAC is always on hand to provide the solution to your questions and help you through the selection or repair process. Once the right equipment has been selected, actual construction conditions must be evaluated. Our technicians are factory trained in every aspect of heating repair and installation, which is your assurance of quality workmanship. Our lead installer, who is EPA and NATE certified, is dependable, professional and committed to customer satisfaction. Ask us about our Smart wifi "NEST" Thermostat! When a furnace or heat pump malfunctions, acquiring the services of a heating repair and installation professional is essential. Our customers have come to depend on our , flat-rate pricing and courteous live operators. 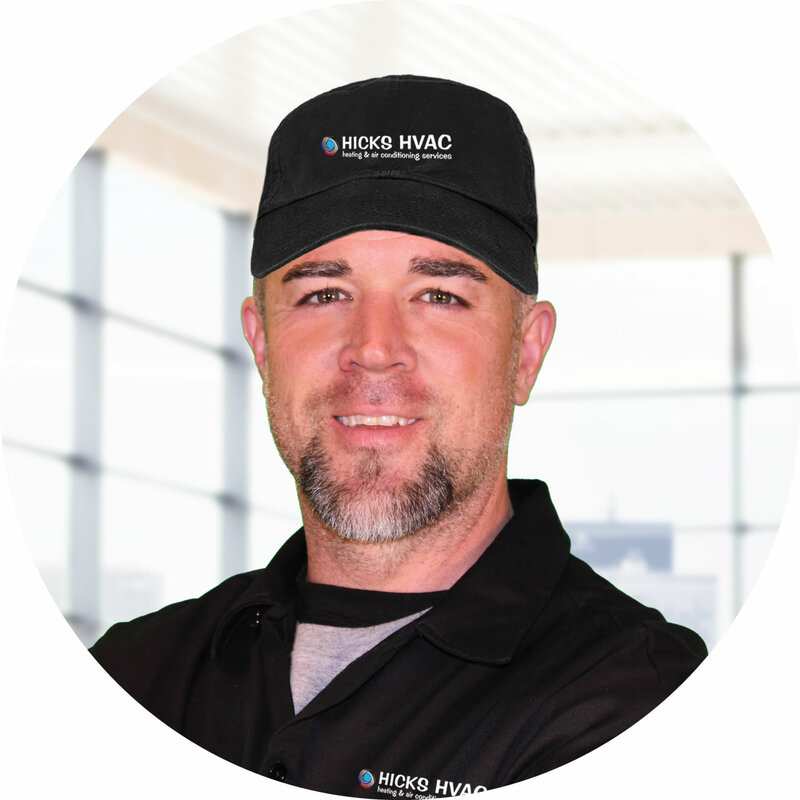 Once inside your home or office, our Hicks HVAC technicians will quickly identify the nature of the equipment failure. The price for the repair includes all parts and labor without any hidden additional charges. Our highly skilled and trained technicians have an exceptional level of expertise they use to diagnose and fix the most complex technical heating system problems. Service agreements provide semi-annual routine maintenance to keep HVAC equipment operating at peak efficiency. During every scheduled visit, our Hicks HVAC technicians will perform a number of different tests to identify potential heating repair and installation issues. Since an older furnace can present health and safety hazards, we carefully inspect the heat exchanger and ignition system for signs of unusual wear or damage. Just because someone has told you in the past that your heat exchanger doesn’t have signs of “flame roll out” and it’s okay, they aren’t fully looking out for your health. Heat exchangers can release adverse combustion gases into your home ventilation air duct system. 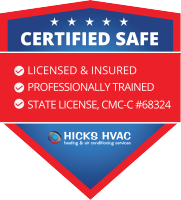 Hicks HVAC can provide carbon monoxide level tests. We don’t guess, Hicks HVAC follows procedure. After fine-tuning the burner assembly, our service techs will monitor and test the flue draft to confirm the burn cycle and proper venting of waste gas. 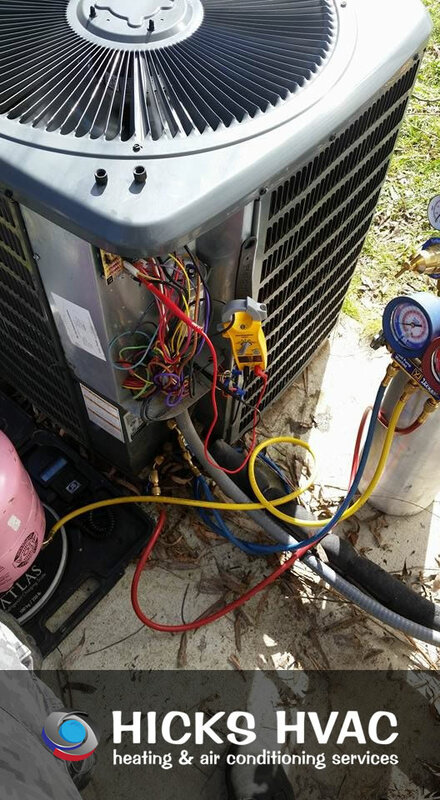 Heat pumps receive a refrigerant pressure check, blower adjustment, electronics inspection, coil cleaning and a variety of other important services included in our A/C maintenance packages. Recent developments in furnace and heat pump technology have dramatically affected system efficiency and substantially enhanced energy savings. In furnaces, variable speed blowers and two stage burners provide maximum comfort while efficiently managing fuel resources. A heat pump with a two-stage compressor can save energy in either the heating or the air conditioning mode. Hicks HVAC is ready to evaluate your furnace or heat pump needs, and go over it with you step by step. No job is too big or too small when you choose Hicks HVAC Heating Services. Need a new furnace install? We can handle any size project! Heat pump problems? We can help! Called Hicks HVAC to replace a heat pump compressor. Jeremy was on-site the next day and in less than 6 hours my A/C was working properly. Not to mention he beat all the leading “Big Guys” by a substantial amount in regards to monetarily cost. Steven C.
When I work with Jeremy, I feel like I am working with a friend, and I feel that he takes care of me as one. I would never go anywhere else for my HVAC needs. If he was too busy, I would wait. His company is amazing. You will never be disappointed when you work with Hicks HVAC. Laurie T.